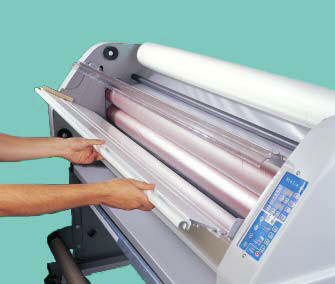 The EXP 63 Laminator is a full featured machine with all the "bells and whistles". 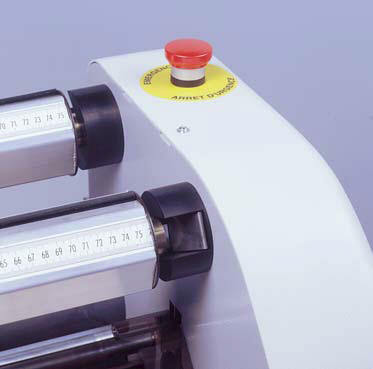 Whether you plan on laminating, mounting or encapsulating your media, the EXP 63 Laminator offers the functionality of all three. 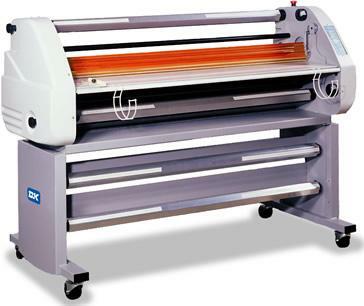 The extra wide chassis allows flexibility in mounting and laminating your printed media. With the extra storage and pullout mandrels, changeover from project-to-project is a breeze. Pivoting feeding tray provides easy loading of film rolls. 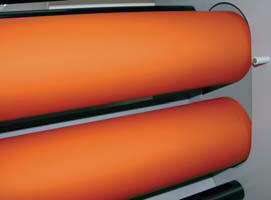 Roller Guard for safety and protection. Plug & Play: no compressor or special electrical output neccesary. Foot control pedal for "hands-free" operation. Adjustable support and lateral stop. 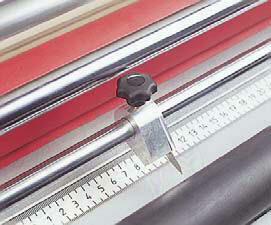 Length cutters for cutting edges of your document while laminating.